Trelleborg is to launch a new online service which allows customers to personalise their tyres with their own company name or logo. You can now personalise your tractor tyres with Trelleborg's new online service. At this year’s Agritechnica in Novemeber, Trelleborg will unveil YourTire, a new online service which allows customers to personalise their tractor tyres. Using the online configurator tool, customers can add their name or logo to new tyres, bringing a new level of personalisation to farm machinery, says the manufacturer. Maurizio Buonopane, business development manager at Trelleborg Wheel Systems, explains; “YourTire provides an extra level of personalisation, by allowing customers such as commercial agricultural contractors to add their name or logo to the tyres fitted to their machines. 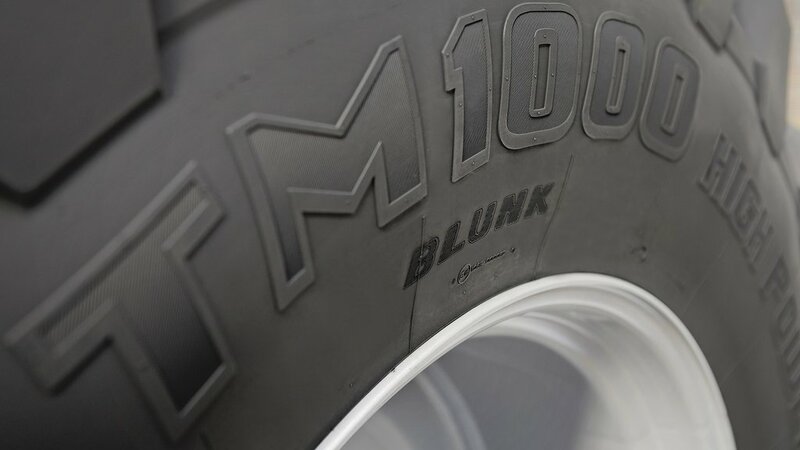 On the Trelleborg stand at Agritechnica an IF900/65R46 TM1000 High Power tyre will be personalised with the Blunk name, a large German agricultural contracting outfit.